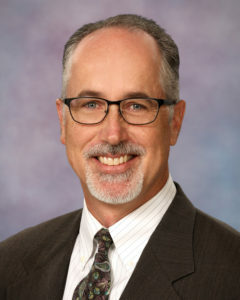 Glenn Lambert is currently the Fine Arts Director in the Wylie Independent School District. His responsibilities are administering K-12 Band, Choir, Orchestra, Theatre, Dance, Art, and Elementary Music for 19 campuses in the school district. Most recently, Mr. Lambert served for nine years as Head Band Director and Fine Arts Department Head at Wylie East High School. His responsibilities include the co-direction of the Marching Band, Concert Bands, and Jazz Band. Prior to his appointment in Wylie, Mr. Lambert was the Head Band Director and Fine Arts Department Head at Shepton High School in Plano. While at Shepton, Mr. Lambert was recognized by the PTA with a Lifetime Membership in the Texas organization. He has also held band director positions in the Garland and Arlington School Districts. Mr. Lambert is a graduate of Texas Tech University with a Bachelor’s Degree in Music Education. During his time at Texas Tech, Mr. Lambert was awarded the Theodore Presser Music Scholarship, and he was inducted into the Mortar Board Academic Honor Society. Mr. Lambert received his Master’s Degree in Trumpet Performance from Texas Christian University as a Graduate Assistant in the Band and Jazz Ensemble Departments. Bands under Mr. Lambert’s direction have received consistent UIL Sweepstakes ratings in Marching and Concert Band competitions. His bands have also been recognized as “Best in Class” in Concert and Jazz festivals throughout the state. The Wind Symphony at Wylie East has twice been recognized as a National Winner of the Mark of Excellence Wind Band Honors Festival. The Wylie East Wind Symphony was a featured performing ensemble at the Music for All National Concert Band Festival in the spring of 2015. He is an active clinician and adjudicator throughout the area. Mr. Lambert’s professional affiliations include memberships in the Texas Music Educator’s Association, Texas Music Adjudicators Association, Texas Bandmaster’s Association, American School Band Director’s Association, Phi Beta Mu Honorary Bandmaster Fraternity, Texas Music Administrators Association, and Kappa Kappa Psi.